An 11 acre farm currently in alfalfa with a large barn, septic and electricity onsite. A great building site for the ideal country home. Pad and domestic well is already in. The land comes with EBID water rights in addition to an onsite agricultural well. This property is currently producing 6 cuttings per year. 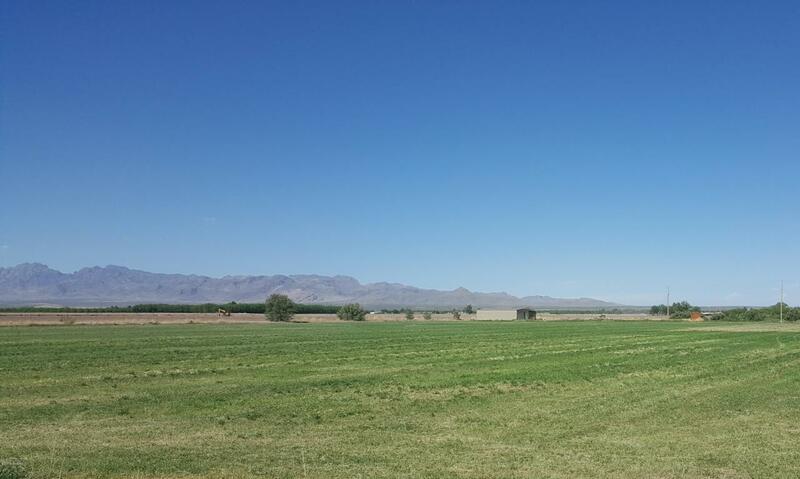 Wonderful views all-around of the mountains, and the lush Mesilla valley. Only one and half miles to our locally famous restaurant in the village of La Mesa and just 12 miles to Las Cruces. Plenty of room for your farm animals, horses or an orchard. The metal barn is totally enclosed with a large storage area. This is an income producing property where you can build your dream home.